Are you looking for someone to help around the house? We can do dishes or laundry for you. 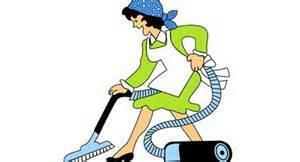 We will also clean your house from top to bottom. When looking for help, choose wisely. Chose a company that is dependable. You know they have a standard of always showing up. Choose one who has well trained people who will work effeciently and not move at a slow pace. You don't want to waste your time or money! You can have one person or a team of 2 or 3. What works best for you? You can call us and get a price over the phone. We ask all the right questions so there's no need to wait for us to come out and look at your house. But if you'd like us to, we'd be happy to! Call Easy Life House Cleaning at 602-404-8675 or go to our Request a Quote page on our website and we'll get you scheduled in no time! www.easylifehomecleaning.com.